Water Filters and Systems – Commonwealth Water Treatment, Inc.
Kinetico water filters and systems will eliminate impurities, restoring your water to the most pure state. Twin tanks contain a carbon filter that is commonly used to refresh water by removing chlorine, tastes and odors. This treatment gets rid of problems associated with acidic water (blue-green stains on copper fixtures or pipes or in tubs and sinks) by raising the pH of water to a neutral level of 7. These filters provide a turnkey remedy for handling foul smelling “rotten egg” water once and for all. 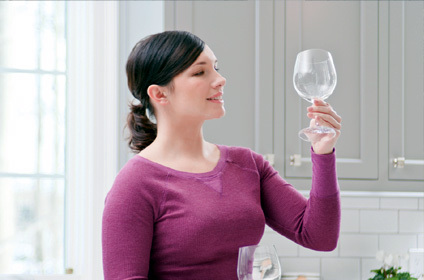 Unlike other systems that use multiple treatment stages and are expensive, cumbersome and complex to maintain, with a Kinetico Sulfur Guard® Water Filter, there’s not much to do but enjoy your water. If you’re faced with arsenic in your water, you want a hassle-free solution you can rely on to remove this deadly poison. So leave everything to Kinetico. The tanks that filter the arsenic from your water will be periodically replaced when necessary by your Kinetico water professional, so you don’t have to do a thing. This single-tank unit is a simple solution to whole home chlorine removal and a great addition to any Kinetico water softener. It not only provides chlorine-free water to every faucet in your home, it also protects your water softener from the harsh effects of chlorine. The use of chloramine to disinfect water is increasing in popularity. An increasing number of water treatment plants have begun to use chloramine, instead of chlorine, to disinfect water. Like chlorine, chloramine has an unpleasant taste and odor and can also make water more corrosive. If you currently have a dechlorination system, it might not be up to the job of removing chloramine from water efficiently. Kinetico’s Chloramine Reduction System, frequently installed in conjunction with a Kinetico water softener, is a single-tank solution to filter chloramine from your home’s water supply. The system uses our exclusive Sulfaban media and delivers chloramine-free water to every faucet in your home. It works effectively to maximize chloramine reduction with minimal maintenance. Check with your local water utility to find out if chloramine is being used to treat your water supply. This system is used to oxidize dissolved iron, manganese or hydrogen sulfide in water. Aeration transforms these culprits into a form that can be easily filtered out with a whole home water filter. A simple, single-tank option for raising the pH of water and eliminating the problem of acidic water. Call our office today for a Free No Obligation Water Analysis or Free Water System Quotation. You'll be glad you did! Every Kinetico system is engineered with convenience in mind.